Full depth reclamation of Park Street from North Street to the Borough limits. 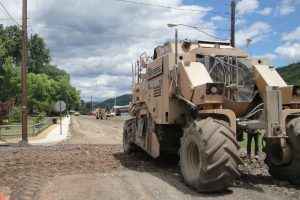 The roadway was properly reconstructed and re-graded to permanently eliminate severe water ponding, cracking and settlement problems. 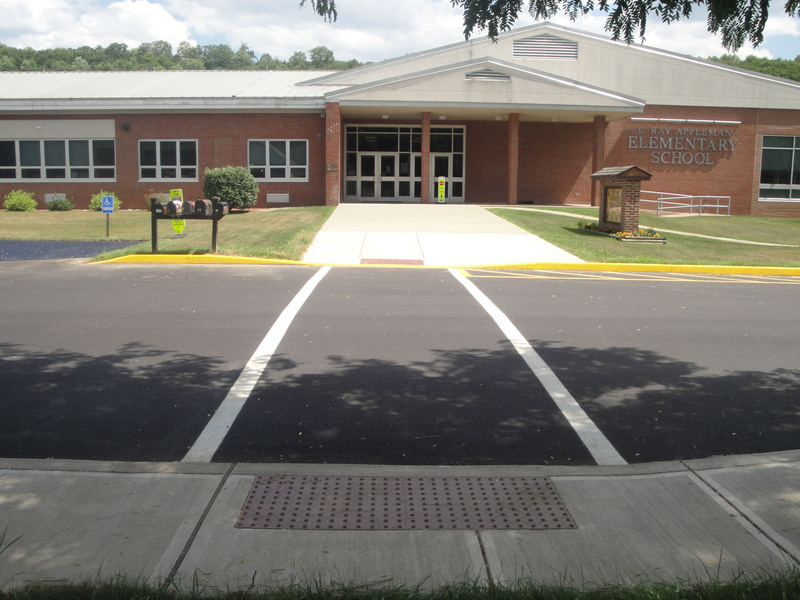 In addition to the reconstruction of the existing roadway, driveway aprons and all curbs and sidewalks were replaced. New stormwater pipe and inlets were installed and connected to the existing system and new sidewalks, driveway aprons and concrete curbs were installed where they did not previously exist. 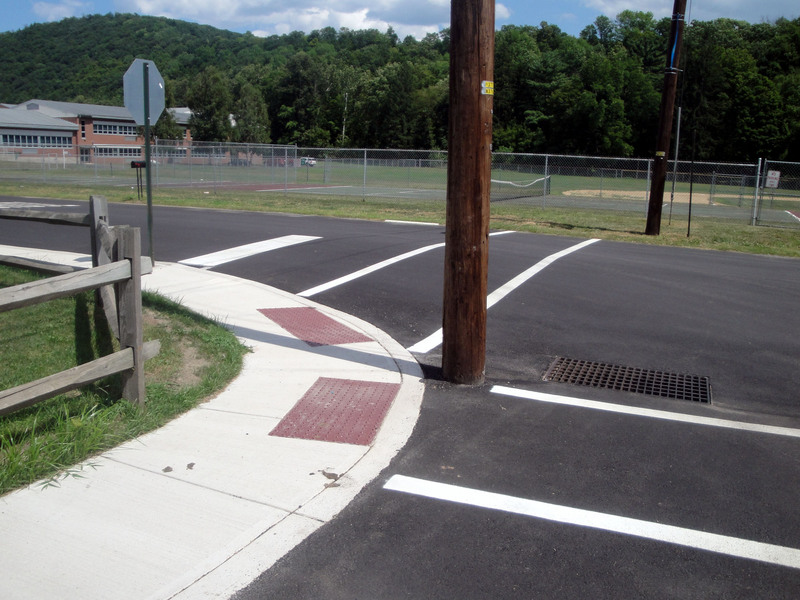 New sidewalk curb ramps with detectable warnings were installed at designated areas. 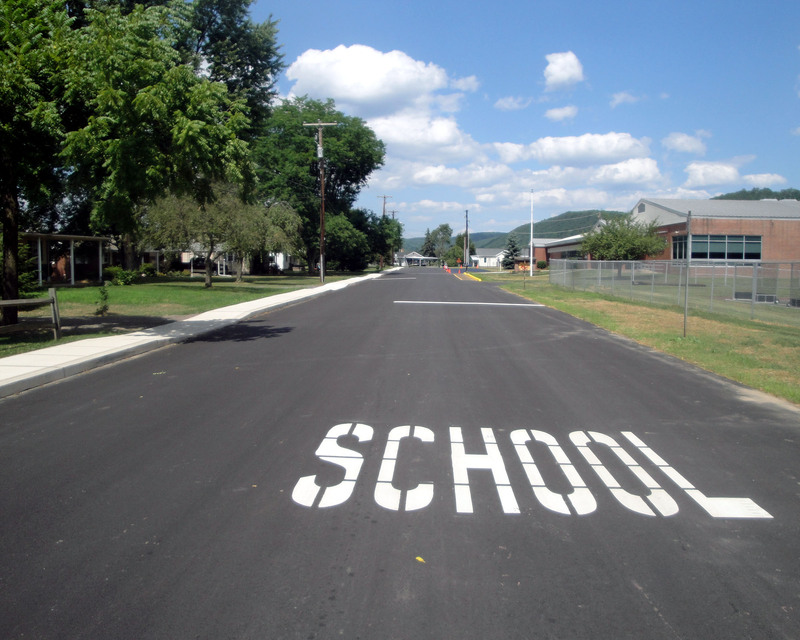 This proven ‘green technology’ alternative consists of the in-place pulverization and uniform blending of the existing asphalt roadway surface and underlying material to create a 6” thick sub-base material. Then 2.5” of hot mix asphalt base course and 1.5” of hot mix asphalt surface course was placed over it. Park Street’s significantly deteriorated condition would not have provided a good base for a simple overlay: the problems would have simply mirrored through. This method also allowed more flexibility to properly design the gutterline and cross-slope grades to ensure proper stormwater flow. For a little more in cost, Benton got an entirely new, solid roadway that will last a long time. 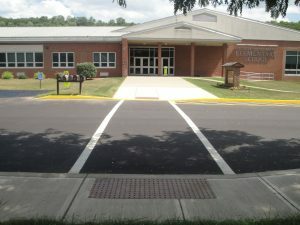 The project work zone was located in front of Benton Elementary School and immediately north of the Benton High School. Extra care and precaution was required to ensure student safety. The roadway was passable at all times for emergency vehicles and student transportation.